How many times have you stumbled into a website that captivates you with its unique, remarkable design, where every functional part shines with originality? Then, when you decide to follow this creative person you suddenly discover that social media icons are just ordinary squares with recognizable colors and logos that barely fit into the whole composition. And as a result the overall effect fades away, the first impression proves wrong. It would seem that such a tiny thing as a set of 32 pixel-sized icons can’t bring disharmony, but as we all know, good design depends on attention to the details. Put that way even such a small part can radically change the general impression of what you see. An alternative would be creating everything from scratch. But that can be really time-consuming, especially with uncommon design intentions. What do we all do? We stroll along the broad avenues and tiny sideways of the world wide web, hoping to find these little helpers to make the web design shiny and impressive. Though this might cost a little time as well as money, generally, it is worth it. To save you from wasting hours of your productive time, we have picked 25 diverse social icon packs that can definitely outshine other ordinary collections and make your website design exceptional and memorable. is a unique and really memorable set of 48 various icons that ideal for logistic or shipping industry website designs. Moreover you will find 3 optional icons packs made with the same style. features crisp, truly realistic book-style icons that perfectly go with ordinary blog designs, online libraries, book shops or websites dedicated to literature. presents 18 colorful original social media icons that perfectly match for any restaurant or food website designs. has a truly playful and entertainment vibe that undoubtedly adds to every sport site harmony and completeness. uses old fashioned, but widely recognizable television sets as a background. As a result such interconnection between modern social media logos and aged devices makes this pack ideal for usage not only on websites dedicated to broadcasting companies, but also on retro and vintage designs. looks very appetizing. The set of 16 vibrant sweetmeats easily spice up any cookery or colorful website design. is a really valuable set for those who want to surprise their users with funny characters. has a clear hint of alchemist art. The set of 35 bottles filled with popular social media icons in liquid state is a perfect addition to any enigmatic, strange or medical design. do a great job of setting proper Easter mood with universally recognizable shapes and elegant ornaments. is pale and heavily noised, but almost universal due to its round shape and immediately identifyable logos. was made to satisfy the needs of every clothes and fabrics website. breaks the monotony of ordinary design and brings joy and playfulness making every website a bit hilarious. is a small, but lovingly crafted. With its significant touch on details, it will perfectly complete every ecommerce website. Since the designer adds the PSD template, you can easily build upon that. delivers clean and clear vector graphics, that are much needed nowadays since the amount of iOS app websites grows by leaps and bounds. is a modern take on retro style. Smooth and slightly shabby icons perfectly match to light and website designs that are supposed to look like days gone by. 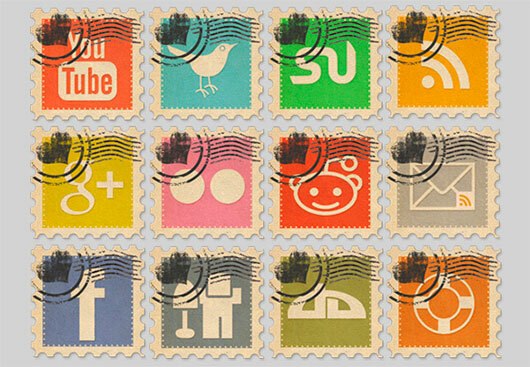 consists of 14 gorgeous stamp-style icons made of restrained colors. The envelopes – one of the univocal mail symbols – will look good both on dark and light designs. includes 27 major content-sharing icons that are stylized tags, taking their rightful place on clothes and accessories online shops. represents images of pharmacy and chemistry, thus making every medical design a bit more remarkable and lively. consists of 32 vibrant folder-shaped icons. The set goes perfectly with website designs dedicated to business. reminds you of bottle corks with bright and colorful illustrations. I suppose every owner of a beverage website will be glad to have such a comprehensive and suitable collection. 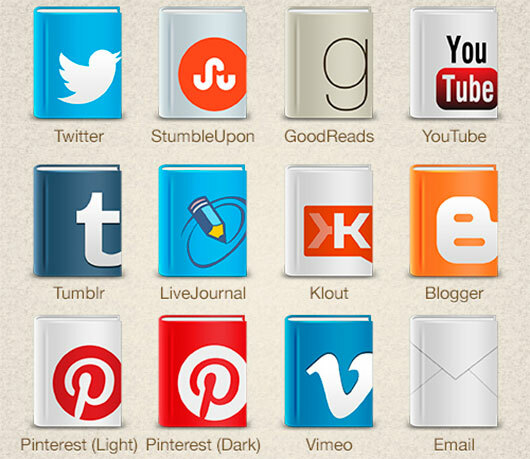 is filled with varieties of social icons made in pin and badge style. Thanks to dual nature you can use the set both as pin icons on a map or contact pages and as a decoration on retro website designs. are inspired by textile design. This set of T-shirts with painted social icons on them is perfectly appropriate to youth, clothes, online-stores. includes 48 badgy shaped icons with a sophisticated and accurate overlay of leather texture. depicts monochromatic flip clock styled social icons in 2 main colors: black and white – in order to satisfy the needs of both light and dark designs. All the icons are represented in large size so you can easily adjust it to the required size. Have you chosen your pair? Nowadays it’s almost impossible to find a website or application without social media integration. Being an integral part of every online project for a very long time, installation of social widgets is one of the primary tasks during website development. 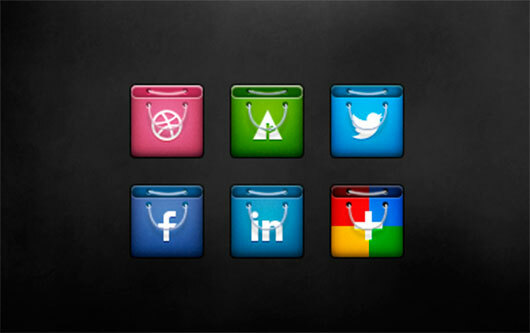 So, what do you think about our collection of extraordinary social icon sets? Do you think they can properly grab users’ attention? And is it worth spending time on such a small detail? In fact the majority of social website have guidelines for their logo… You’re not supposed to modify any logo as facebook, twitter, etc. For example: https://www.facebook.com/brandpermissions/logos.php! 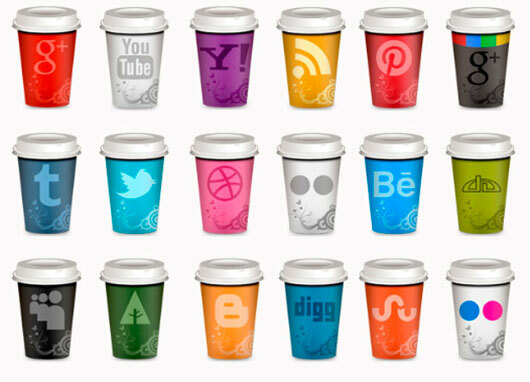 The most creative social icons collection i ever saw, great! The icons are all beautiful, colorful and professional. Thanks for sharing. I agree with Theo, these are definitely some of the most creative icon sets on the web. Thanks for putting this collection together Nataly! Ultimate Collection , thanks ! 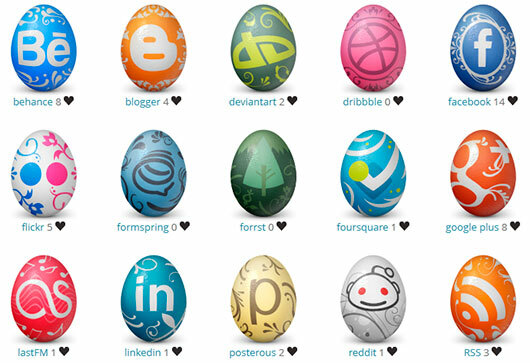 All these are really creative set of social media icons. I am gonna use them within my design projects. Thanks for sharing them with us !! Thank you so much for including Apricum’s Social Media Icons. Hugs! Thanks, I downloaded the leather set.Its AWESOME!